Cedar Hill Cemetery was established in 1875, one of the first cemeteries on the Colorado Front Range, and the only cemetery in Castle Rock. Cedar Hill Cemetery is the repository of our human history. The earliest dated stone in the cemetery (February 1867) is that of Maria Hammar, infant daughter of Benjamin and Isabella Hammar. Other significant graves of early Colorado and Douglas County pioneers include those of John Craig, Benjamin Hammar, Father John Dyer, and William Dillon. Their diaries, biographies, structures, and entrepreneurial accomplishments help broaden our knowledge of the Colorado Territory from 1860. 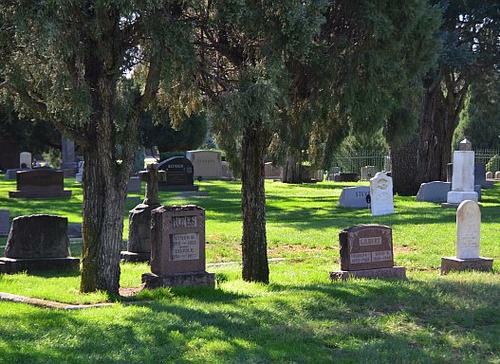 In 2005 the Douglas County Historic Preservation Board designated Cedar Hill Cemetery an Historic Landmark.